All About Garage Doors & More, LLC is a locally-owned garage door company. We are your authorized dealer for C.H.I. Overhead Garage Door service of Charleston, SC, and we provide new garage door installation and garage door repair services to homeowners and business owners throughout the Low Country. Our business is your garage doors, which allows us to build close relationships with our customers by offering quality, customer service and the best prices! We only employ certified technicians who can diagnose your garage door problems and provide professional, quality repair and replacement services. C.H.I. Overhead Doors also stands behind our Charleston, SC garage door company technicians, and we work with their warranty on their garage doors and services. To better serve you in a time of need, we offer immediate same day service and free estimation. 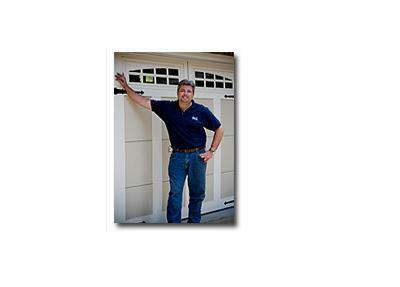 By the time Robert Gatch formed All About Garage Doors & More, LLC in 2004, his experience already included two decades of service to his country and state. Robert is a veteran to service. He proudly served in the United States Air Force and also as Trooper for South Carolina Patrol, but is now ready to serve the homeowners of the Low Country. Though our warranty is extensive, we don't want our customers to have to use it. Our goal as a company is for the customer to be happy and love their new home. Our experienced technicians/installers strive to ensure that this goal is accomplished. The warranty on the installation of a garage door covers the integrity of the labor provided and lasts a year after the install. Though our warranty doesn't cover the parts used, C.H.I., Linear, and LiftMaster have manufacturers' warranties. Paperwork with information on these warranties will be left with the customer at the end of the install. The warranty on any repairs done during a service call also covers any defects in workmanship, plus certain parts used. This warranty lasts 6 months after service. If anyone other than All About Garage Doors technicians have worked on the garage doors or if any modifications were applied to the door or opener, then the warranty becomes null. This warranty does not cover consequential or incidental damages, such as damage or injury to a person or property because a garage door did not operate properly. Some states do not allow the exclusion or limitation of incidental or consequential damages, so this limitation or exclusion may not apply to you.